Our safari starts from Tomnavoulin and heads south across the Feith Musach. Turning west we enter the delightful Conglass valley. The Conglass Water is the major tributary of the Avon. It's steep sided valley still bears scars from the last ice age. 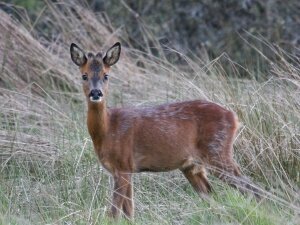 Roe Deer, Wild Cat and Stoat haunt it's birch clad slopes whilst Buzzard and Kestrel patrol the skies above. On crossing the Avon itself we first follow the old military road and then the west bank of the river for a few miles. Dipper bob and duck on rocks in the swiftly flowing waters as Grey Wagtail forage on the shingle. Stately Heron wait patiently for small fish to fall victom to its beak. Sand Martin nest on sunny banks. Swallows and House Martins hunt for insects over the long meadow grass. Crossing the Avon we leave the public road to climb through ancient birch woods and emerge onto open ground above the Chabet Water. Here Meadow Pipit and Cuckoo make their summer home. 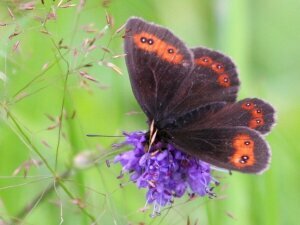 Either may be taken by Sparrowhawk. 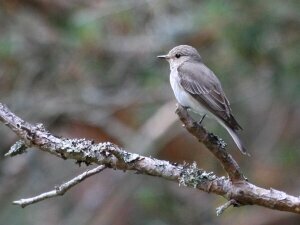 Gaining more height, we pass through pine forests that are home to Red Deer, Red Squirrel, Woodcock, Spotted Flycatcher and Crossbill. Finally we arrive on the summit of Carn Daimh. The panorama from here is absolutely magnificent and includes the central Cairngorms and Lochnagar on Deeside. 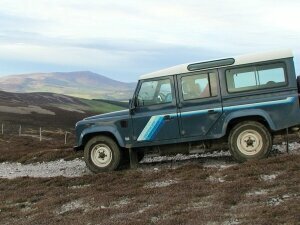 On clear days the distant hills of Caithness can be seen to the north on the other side of the Moray Firth. Here on the roof of Glenlivet, Red Grouse and Mountain Hare browse on tender shoots of young heather and blaeberry. Golden Plover nest in summer and Raven are never far away. Descending the eastern slopes of Cairn Daimh, we traverse a secluded glen where Lapwing, Curlew and Wheatear raise their young. 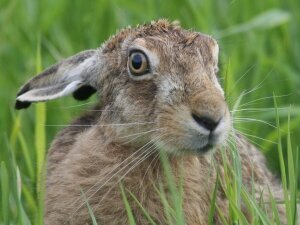 By early evening Brown Hare are often spotted browsing the meadows beside the track. 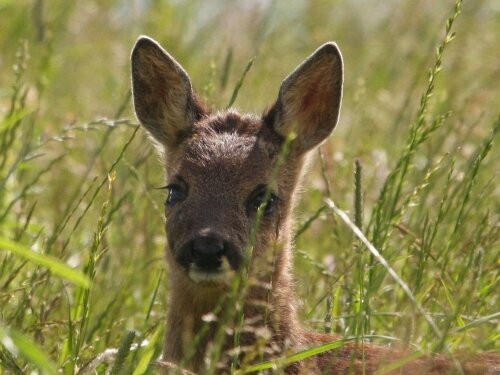 Roe Deer now break cover with their kids to enjoy the lush grazing by the burn. Join us on a tour of one of Scotland's most beautiful river valleys. Lasts: 3 hours 30 minutes approx.